It is twice the price, but will work just the same. Both of these are warm white, but there are other colors available. The whole piece drops right in, as is, in the Mag head! a perfect fit! Some modifications are needed as the star is set up for 12V, disassembly is required. 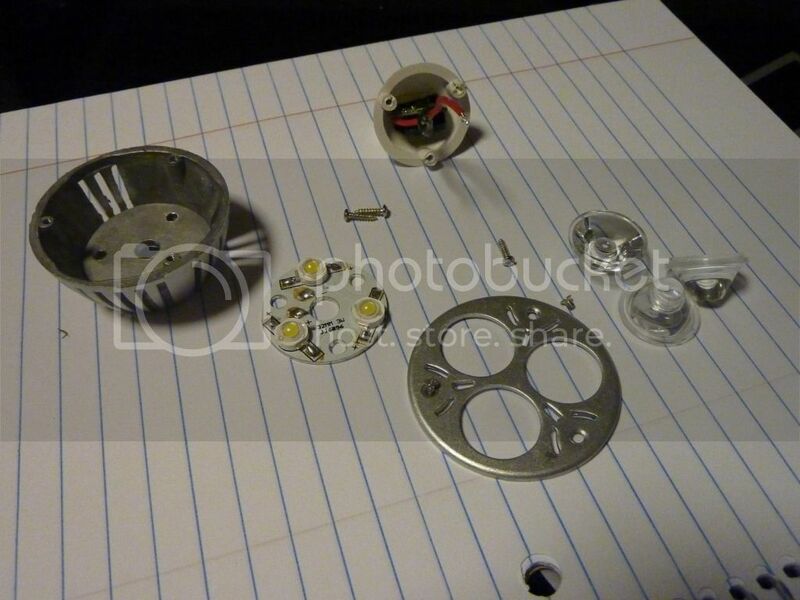 Here is the aluminum heat sink, the 3 emitter star, the lenses and the face plate. The base and its circuitry is discarded. Here is a closeup of the star, notice that the 3 LED’s are wired in series as 12V is supplied by the original driver. 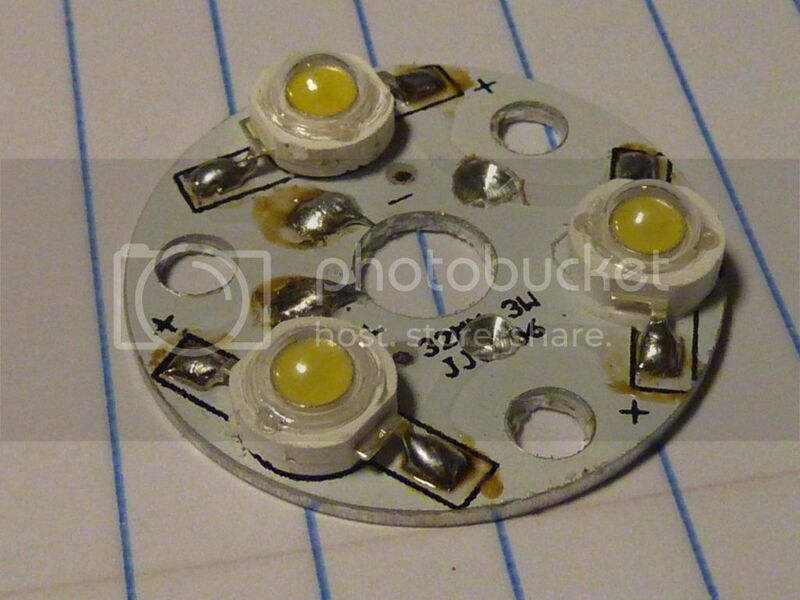 I want to run these 3 LED’s off the original 3 D cells or in other words 4.5 volts. I needed to separate the series configuration so that I can run them in parallel. What I did was drill through the traces connecting the 3 LED’s in series. After the drilling, I checked to make sure that the traces were not shorting out to the metal star where I had drilled through. From here all I had to do is wire the 3 LED’s in parallel and to the original switch and put it back together. 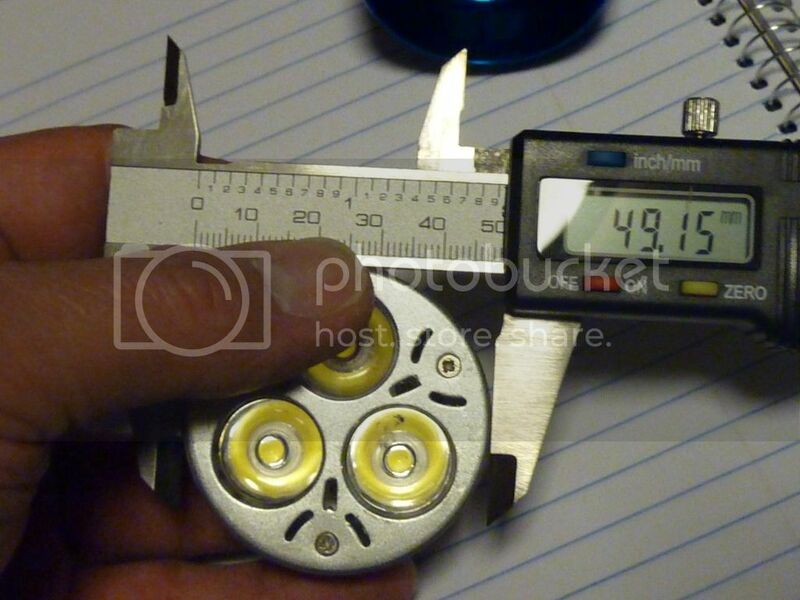 I did not have to modify the original MagLite in any way, only remove some parts from the switch. This will give me 9 watts and a whiter light. Then there will be an issue with heat. The included heat sink is pretty massive, but there also has to be a drain for when it “fills up” Better thermal contact of the sink to the head will help. As of now it is not an issue. Great idea! I've never looked at any of the LED light bulbs for the home. That's pretty cool! I like your thinking. Very nice. Like previously asked, any chance of some night shots? Hey, how big is that base, would this work? I have three of those lying around, so I might try the same mod. How would you describe the output vs. original 3D led mag? Whats the measurements on that thing. I bought the 4 led version and mine rattles real bad in mine. Thought about using copper tape. But never got around to it. Pity my only maglite is a 2xAA incand. This is a great idea for updating my dads 3d mag, I was thinking about a nanjg and xp-g2. That star is too big, it is 50mm. 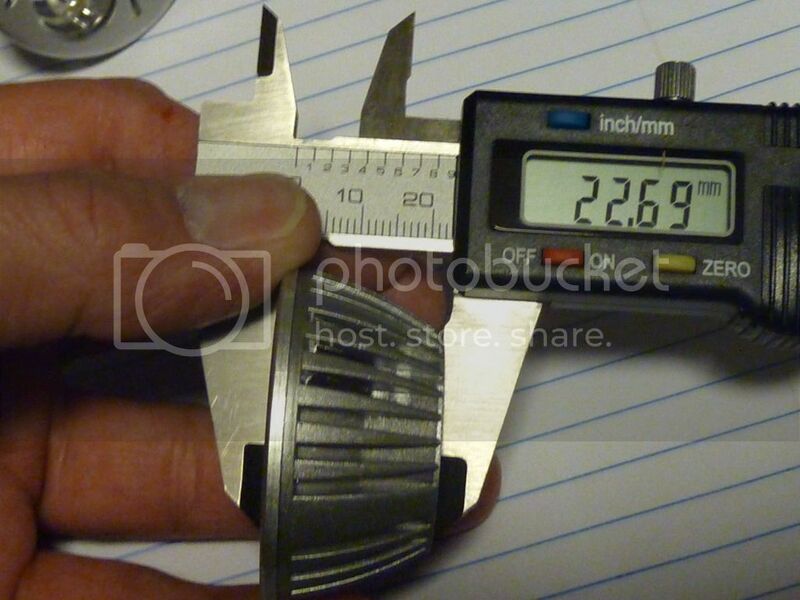 Mine is 32mm as shown in the pic. 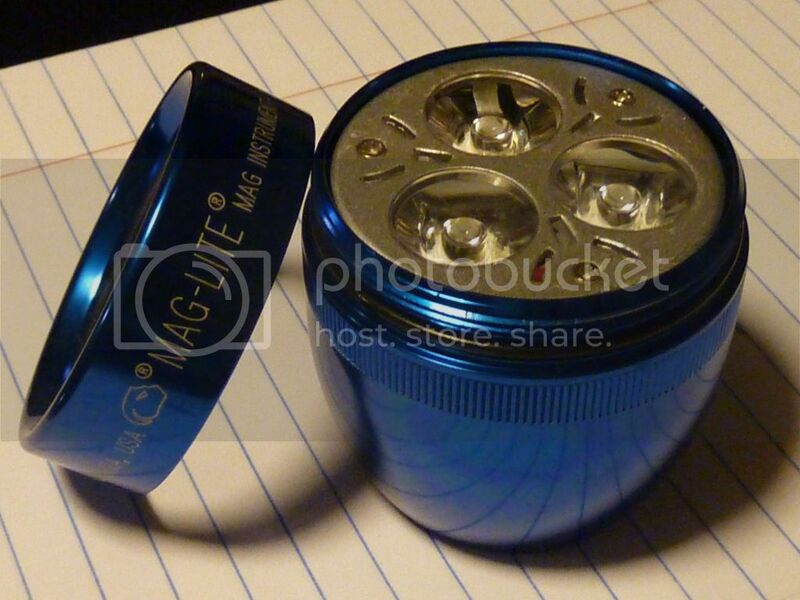 I saw that too at fasttech and would love to find that cree q5 in a 32mm star. 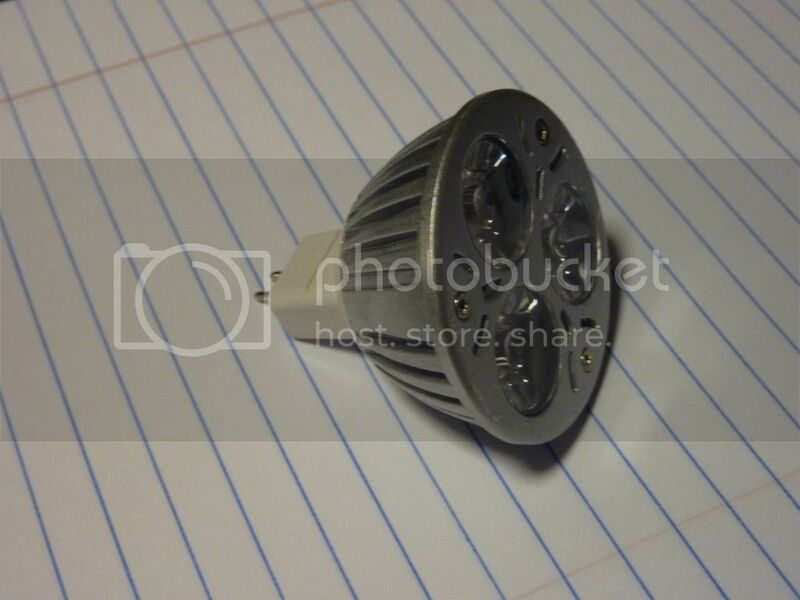 instead I ordered 6 3W bridgelux from them. In quantity they are .66 each – cheap enough! I am looking forward to seeing how fasttech does with my order, they seem to have a very good site. Pure flood, and warm white approx same color as an incan. Now that I know this works, I will do a cool white version. I don’t know what degree the TIR optics are, but it is floody. 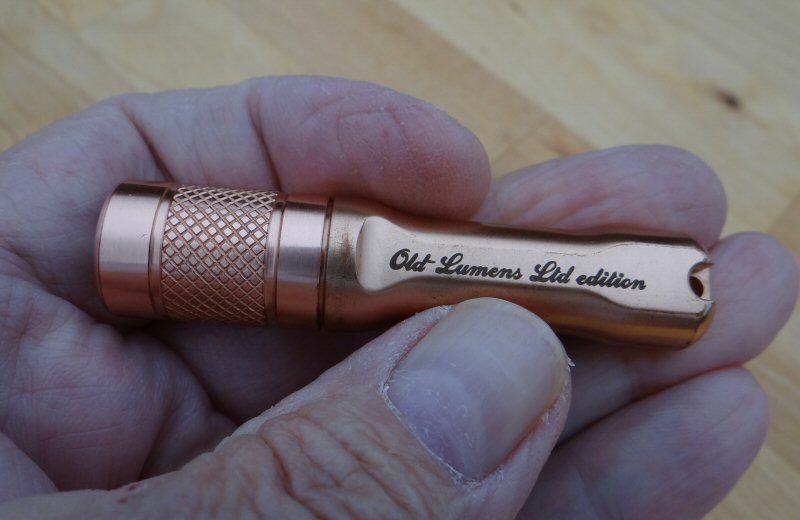 Output is approx 270 lumen so there is more light that the LED mag which is around 130 lumen. 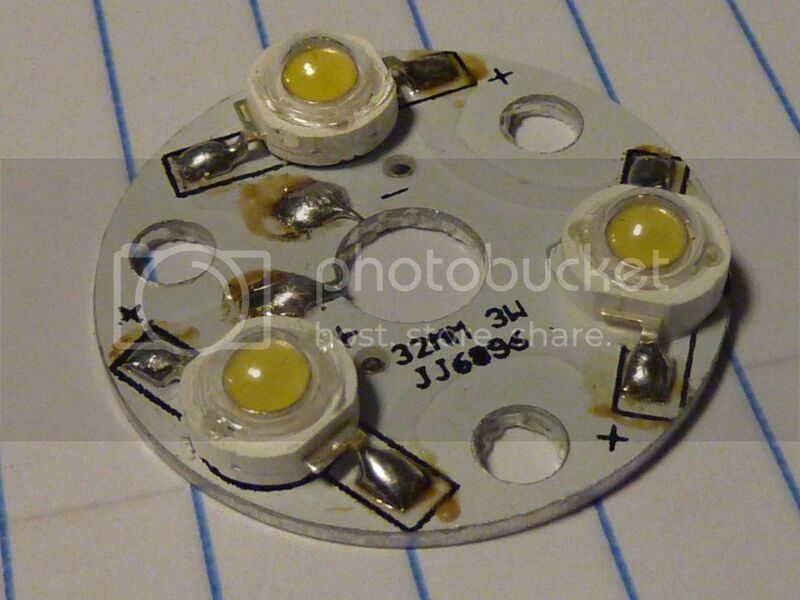 As I said, I will next try 3 -3W BridgeLux emitters @6000K on the star. 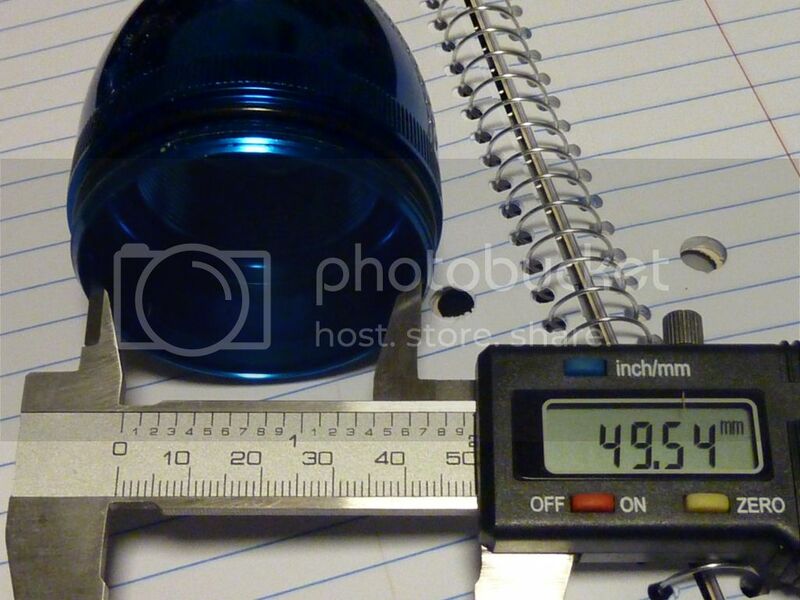 They are only 66 cents each at fasttech in quantities of 5 or more. So my mod cost is soaring! You must think we’re made of money, offering up fancy mods that cost more than 4 bucks! Anyway, thanks for the inspiration. I just pulled an old 3d out of a box a few days ago, and I was wondering what I could do with it. Thank, this is my kind of thread. 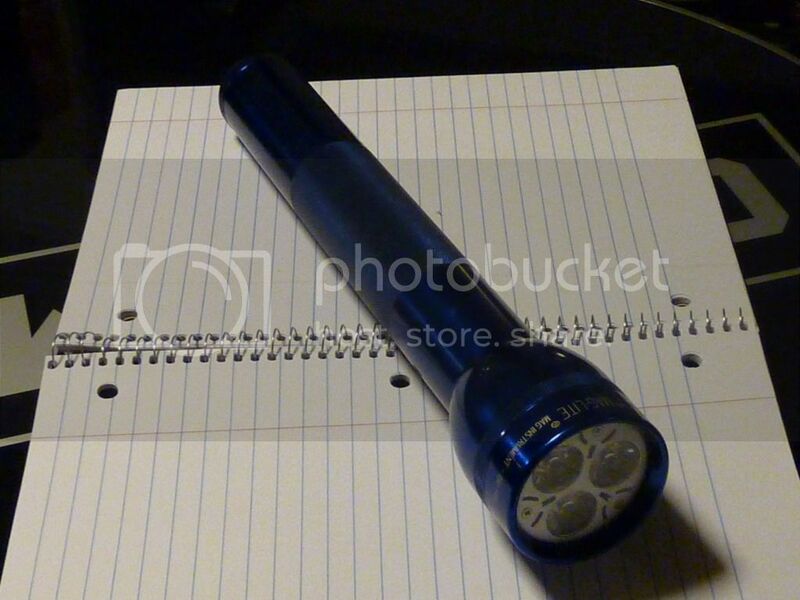 Friend gave me a 3d Maglite some years ago and I have one if those bulbs in the post. Plenty on Ebay,and I suspect that they differ? Whats the measurements on that thing. I bought the 4 led version and mine rattles real bad in mine. Thought about using copper tape. But never got around to it. 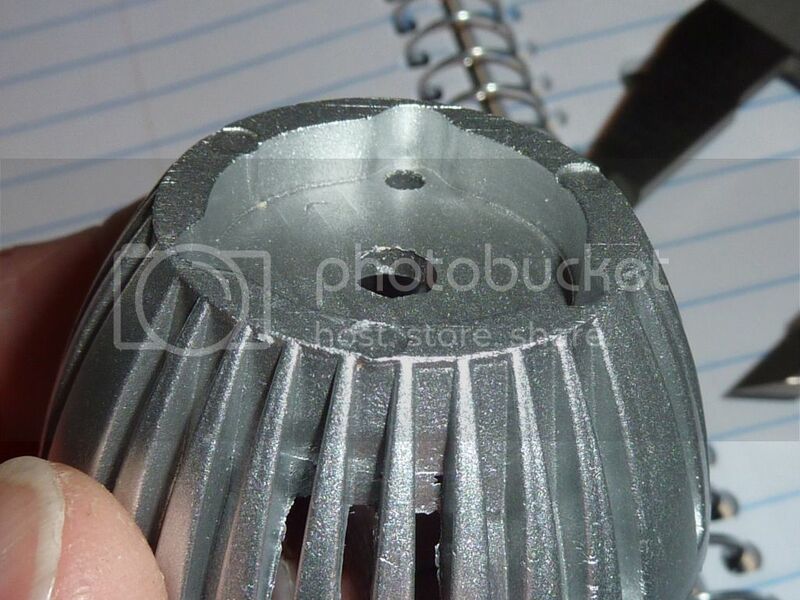 Here are some pics of the heat sink. There is definitely some meat on it. If needed a copper slug could be added here. Being constructed for home lighting, this lite was orginally designed to run 24/7. AU $1.00 = US $1.05, Ruffles is right, I am spending money like a drunken sailor! 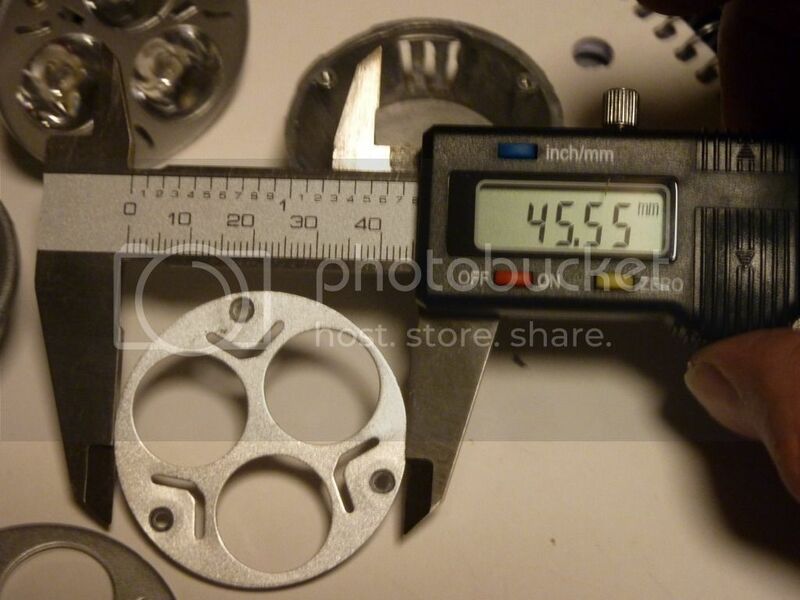 With those dimensions, it would be well worth it for the TIR optics and top plate alone. 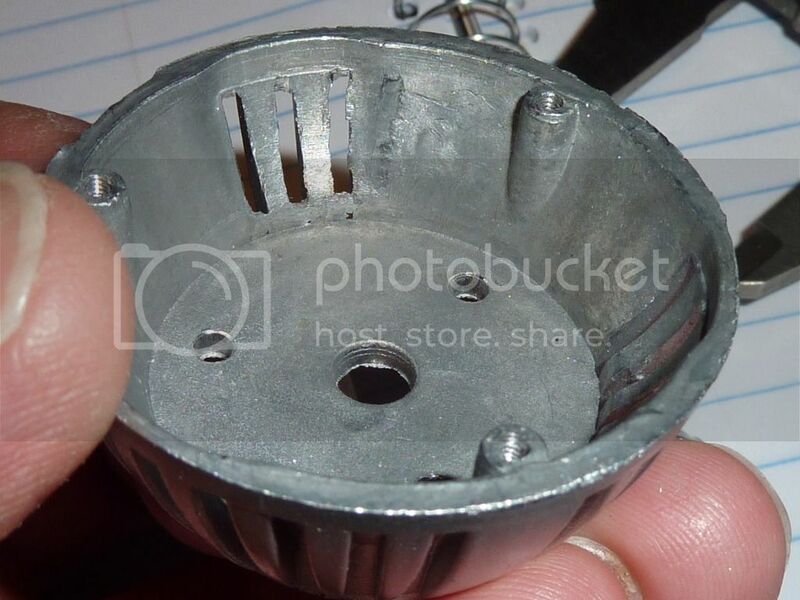 I wouldn't have to make a centering plate with that metal one fitting so well. Heck, I just saw a 9watt on ebay. 3x3w Cree 12v, warm or cool white. For $7 shipped from the US. 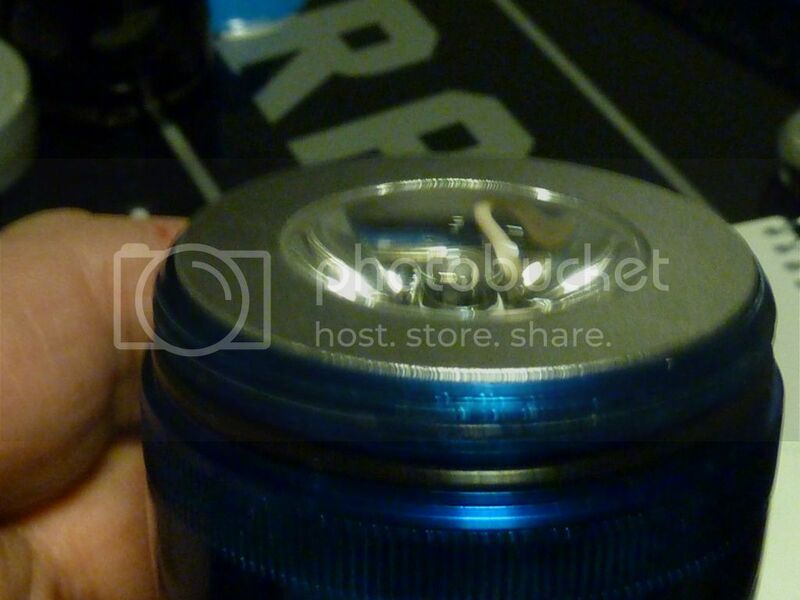 Got to be one of the most inexpensive mods to do with a Maglite. 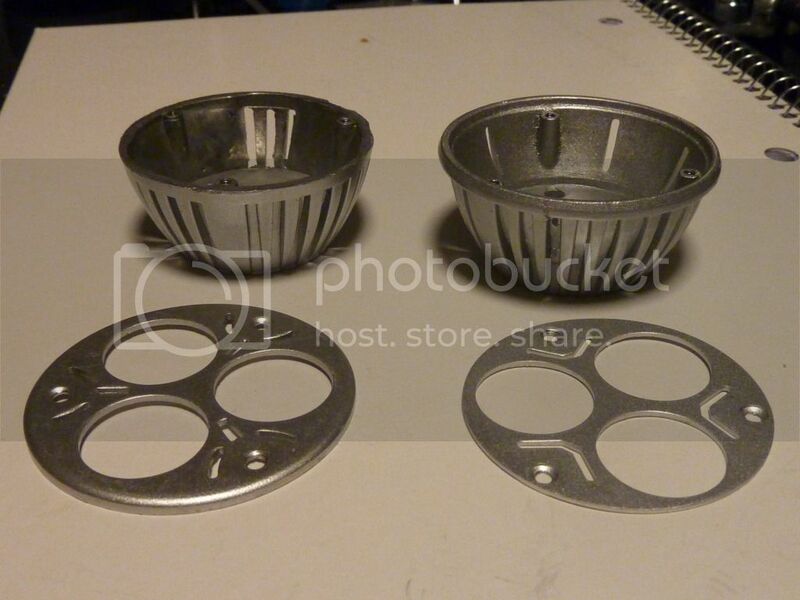 Do you have some better pictures for where you need to drill / wire in series? Most of them are 60 degree optics. I love the idea of re-purposing stuff. @Shadowww Thanks for the link, had to pick up a few. So now for the wait on shipping, ughhhh. I know DChomak put a pricelimit in the headlines to help all flashoholics economy(maybe? 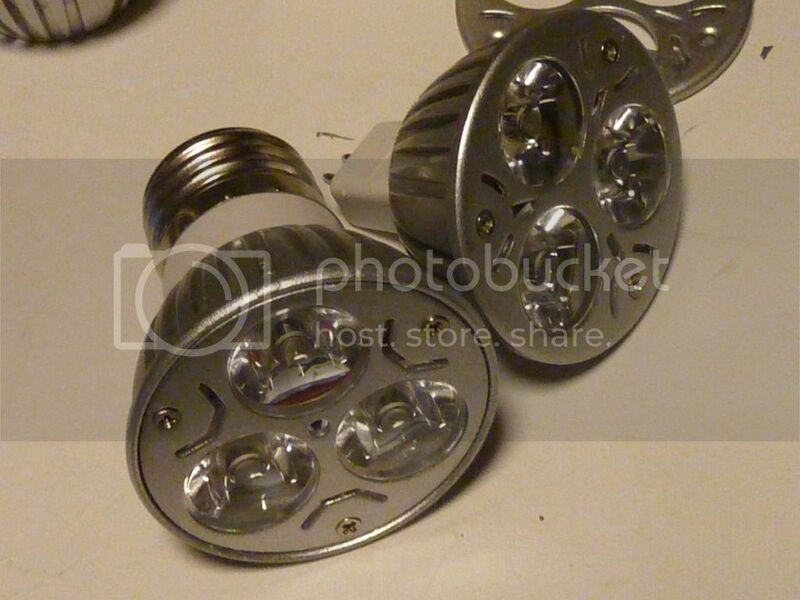 ),but I think I have to tell you there are also Cree versions of those bulbs. At least some of those probably are?Remember these are from China. With those dimensions, it would be well worth it for the TIR optics and top plate alone. 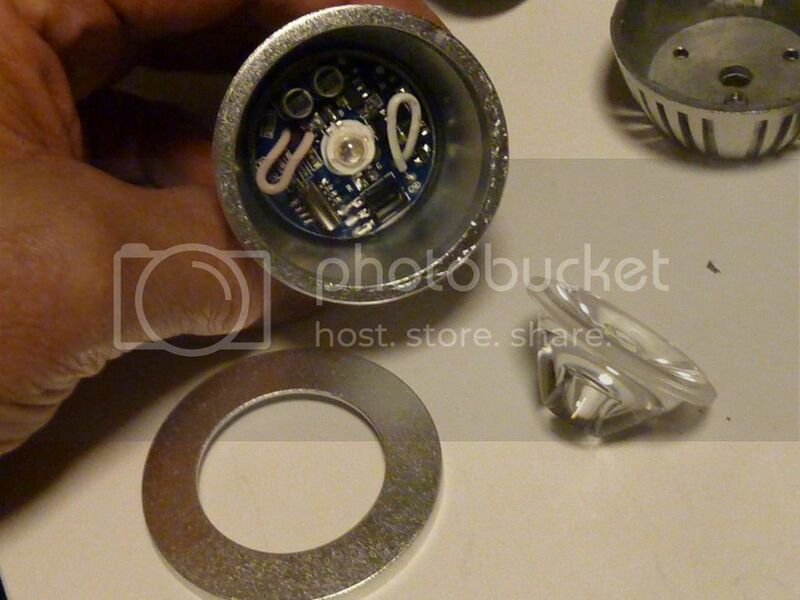 I wouldn’t have to make a centering plate with that metal one fitting so well. Heck, I just saw a 9watt on ebay. 3×3w Cree 12v, warm or cool white. For $7 shipped from the US. Got to be one of the most inexpensive mods to do with a Maglite. Here is an example of an “inny” and an “outy” next to each other. 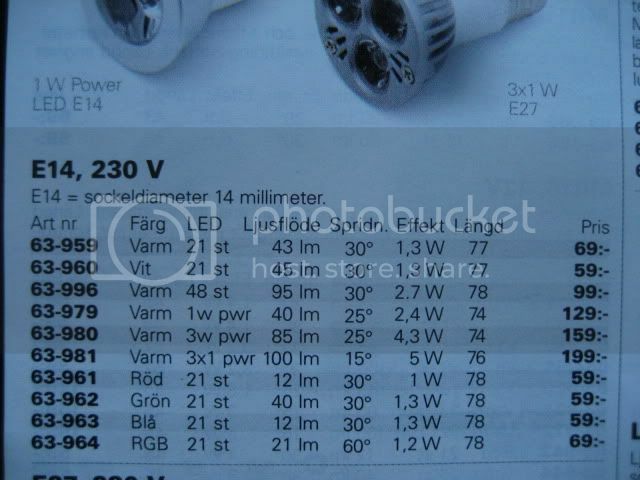 Notice that one is a 120v light, the other is 12V. They both are 12V internally, just a different driver. I first started getting into these after I read about this: http://budgetlightforum.com/node/11104 I planned on using several of the 12V lights mounted on the front of my Zero Turn mower, in other words a poor mans light bar. Maybe these pics will get your creative juices flowing……….. There are a lot of lights out there that beg investigation. Yes, once something gets into the mainstream the price comes down. I can foresee us buying off the self lights just for the parts in the future. Local seller advertise his as 15 degrees. 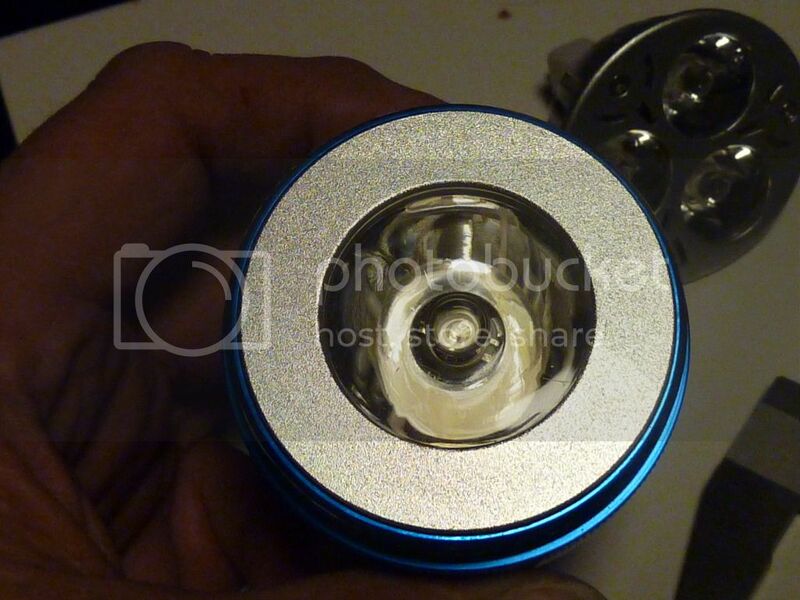 That it is a GREAT source, with CREE led’s and many options on lense angles! I Bookmarked it. My 3 × 3W replacement led’s have shipped from fasttech.com I am disappointed that it took them 5 days just to get the shipment out. Not very fast so far! BTW, I ordered a pogoplug off buy.com yesterday morning and it is already at my post office this morning! Point is that they got it in the mail the same day, not 5 days later.